Global regulatory statutes significantly impact healthcare companies. Obtaining regulatory approval is one of the biggest hurdles faced by these companies. The regulatory landscape is dynamic; rules of the road are always changing. Moreover, regulations not only differ by country but are also product-specific. Misguided decisions can lead to substantial delays to market and in many cases prevent companies from ever entering a market. For startups and small sized companies, limited budget coupled with a lack of in-house regulatory expertise amplifies the challenge to bring their products to market. Many times it is in the best interest of these small medical device companies to identify markets with the least (regulatory) burdensome approach. 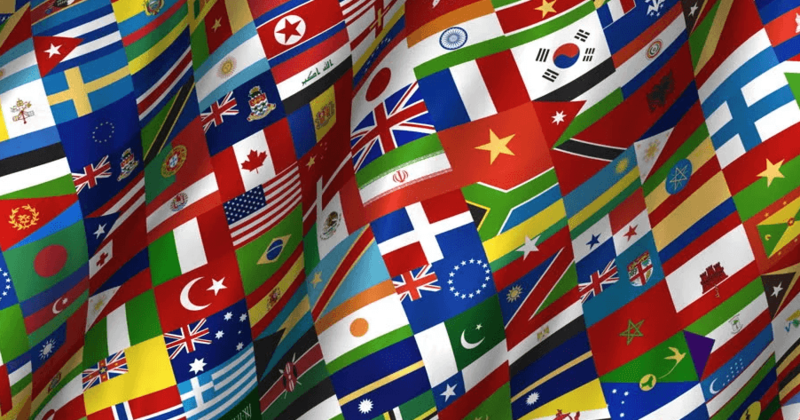 The big question our team at RegDesk gets asked all the time by small medical device companies is, “Are there any countries that do not require any regulations?” We heard your request. Yes, there are a number of countries where you can import your medical products with simply an import permit and/or notification to the local Ministry of Health while avoiding formal regulatory approval. The list of countries compiled is based on our research and is not intended as explicit guidance for a particular situation or a product. With the constant change in regulations, ensure to seek professional guidance before entering any of these markets. If you or your team has had a differing experience in any of these markets, we welcome your comments and any new information to further share with the medical device community. Aruba, British Virgin Islands, Cayman Islands, Netherlands Antilles and the Turks and Caicos have no formal medical device regulatory requirements. However, as Overseas Countries and Territories of the EU, the EU law applies here, only as necessary to comply with the association agreement they have with the EU. Azerbaijan, Timor-Leste, and Tonga have regulations for pharmaceutical drugs. There may be certain drug regulations that may apply to your medical device. For Botswana, Burkina Faso, Chad, Comoros, Grenada, Marshall Islands and the Central African Republic, there is insufficient data to determine if any medical device regulations exist. Many of the countries may either require an import permit and/or notification to the local Ministry of Health. Some of these markets are in the process of implementing regulations so ensure to consult a local expert and/or the local Ministry of Health. In many of the countries in Africa and some of the smaller Asian markets, there are no regulatory authorities for medical devices. Due to the lack of infrastructure, mostly all imported medical devices are either purchased by the government or acquired through donations, e.g. Gambia. Our research revealed that many of the smaller government bodies have appointed Intertek as their sole provider of pre-shipment inspections. If you have any questions or need any assistance in gaining insights specific to your products for any of these markets, contact me directly at drita@regdesk.co. “Country Data – Global Atlas Of Medical Devices 2014 Update”. World Health Organization. N.p., 2014. https://www.who.int/medical_devices/countries/en/ Web. 27 Dec. 2016. Rugera, Simon Peter et al. “Regulation Of Medical Diagnostics And Medical Devices In The East African Community Partner States”. US National Library of Medicine National Institutes of Health. N.p., 2014. Web. 27 Dec. 2016. “Brunei”. Tuv-sud.com. N.p., 2016. Web. 27 Dec. 2016. “Gambia:Analytical Summary – Medical Products, Vaccines, Infrastructures And Equipment – AHO”. Aho.afro.who.int. N.p., 2016. Web. 27 Dec. 2016. “Guidelines For Application For Registration Of Medicinal Products 2006(DRA)”. www.who.int. N.p., 2016. Web. 27 Dec. 2016. “Health Sector Reform Program”. The Ministry of Health, Belize N.p., 2016. Web. 27 Dec. 2016. “LAW OF THE REPUBLIC OF AZERBAIJAN “On Medicinal Products”. www.unodc.org. N.p., 2016. Web. 27 Dec. 2016. Samadi, Dr. Fatemeh. “Regulatory Requirements Of Medical Devices In MENA Countries”. The German Society for Regulatory Affairs. N.p., 2016. Web. 27 Dec. 2016. Kamwanja, Leonard A. and John Saka. MEDICINES REGISTRATION HARMONISATION IN AFRICA. 1st ed. Pretoria, South Africa: N.p., 2011. Web. 27 Dec. 2016.
info@url.cz, All:. “Medical Council Of Mauritius”. Medicalcouncilmu.org. N.p., 2016. Web. 27 Dec. 2016. Peeling, Rosanna W. Update On Regional Harmonization Of Diagnostic Regulation In Africa. 1st ed. London, UK: World Health Organization, 2014. Web. 27 Dec. 2016. SEYCHELLES NATIONAL MEDICINE POLICY. 1st ed. Mahe, Seychelles: REPUBLIC OF SEYCHELLES, Ministry of Health and Social Development, 2009. Web. 27 Dec. 2016. A, Abdirahman. “Somalia: Federal Cabinet Passes Medicinal Drugs Regulatory Policy”. Horseed Media • Somali News • Politics & Opinion. N.p., 2016. Web. 27 Dec. 2016. Cera, Carolina. Medical Devices Regulatory Compliance In Latin America. 1st ed. Denver, CO: Rocky Mountain Regulatory Affairs Society, 2016. Web. 27 Dec. 2016. Morroney, Richard et al. Medical Device Regulation In Latin America. 1st ed. Regulatory Affairs Professionals Society, 2016. Web. 27 Dec. 2016. Ramaley, Grant and Azusa Nakagawa. The IAF Initiative For Accredited Certification To ISO 13485 – Medical Devices. 1st ed. International Accreditation Forum, 2011. Web. 27 Dec. 2016. “DOING BUSINESS WITH THE CAYMAN ISLANDS”. Caribbean Export Development Agency www.carib-export.com/. N.p., 2007. Web. 27 Dec. 2016.